In modern society important techniques and ideas to reduce every day wasting have become increasingly important, in fact the consumer lifestyle, that is common among most of the world’s population, brings us to produce a lot more of waste than is not really necessary. Just think about the world production of waste, which is, per capita, around 3.38 kg per day, a number that multiplied by a year is very frightening for the environment. The disposal of trash, in addition of being in itself a problem linked to the waste, is often not carried out in a correct way, so it’s also another harmful element to the pollution of the subsoil, nature, and atmosphere in general. In Europe, data on waste generation are hovering around 1.6 kg per person per day, and in particular Italy produces 1.4 kg. This is obviously lower than the quantitative data world, especially by calculating the exclusion of giants such as China and the US, but this doesn’t mean we could keep calm. In fact, day by day there are more and more actions proposed to reduce environmental impact of our trash, an issue that every year concerns #EWWR, the European Week of Waste Reduction. 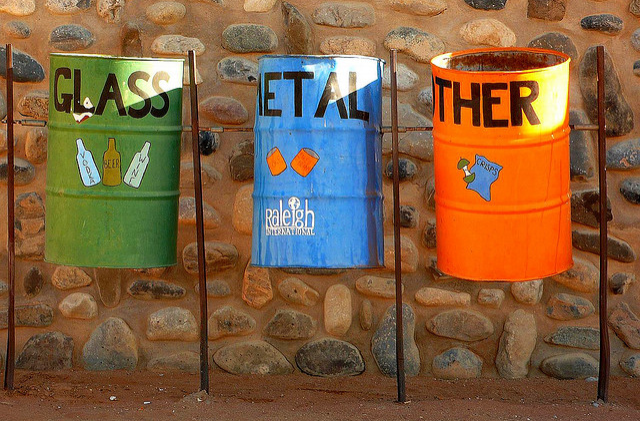 In 2013 the actions taken were about 5400, coming from industries, individuals, associations, schools, hospitals, and anyone who has decided to contribute to the anti-waste campaign. This year, EWWR takes place from 22th to 30th November and it’s focused on food waste, because every day we unconsciously throw away scraps of food which could be still useful. Here are some ideas already in action in Europe and in Italy. 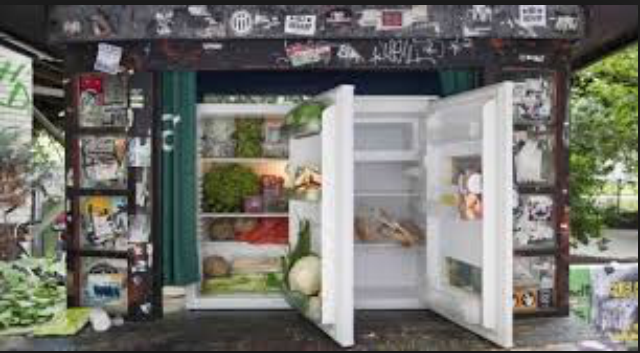 In the districts of Prenzlauer Berg and Kreuzberg there are already two refrigerators accessible 24 hours 24 where all citizens, tourists, food stores and anyone who wants, can leave food that looks in excess in their refrigerator or still good edible refuses from groceries. This idea got a huge success not only because it allows to help those in need but also because it aims at the creation of a collective consciousness about waste, and the 82 kg of still edible food that each year German people throw in thrash, now undergo a notable reduction and become more useful. The service is anonymous and doesn’t require any pass bureaucratic, you just have to take only what you really consume, or if you got available food, you have to leave it into an intact and clean packaging. Now there are only two open refrigerators available in the city of Berlin, but soon, thanks to the success of the initiative, they will be joined by 19 others, arranged in businesses and shops. 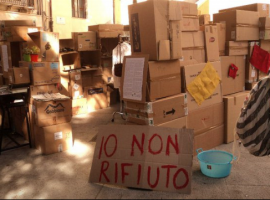 An Italian example to improve the distribution of basic necessities is the case of the app Breading, a meeting point between bakeries and grocery stores that every day have available surplus of bread, and the poor who can benefit of the refuses. Waste Watcher informs that daily 13 thousand tons of bread go to waste, but that is rather be redistributed to the 6 million people of poor in Italy. 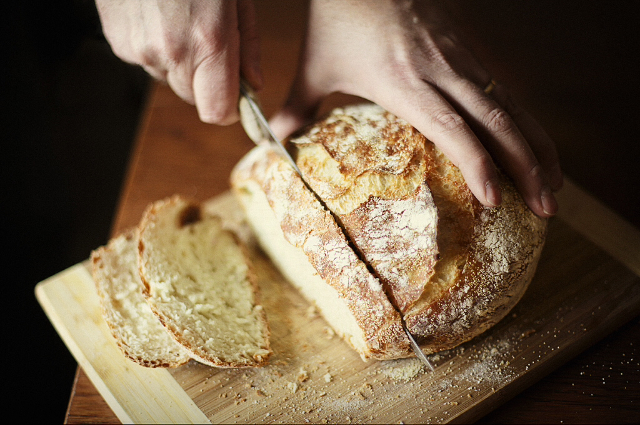 The working of Breading app is very simple: food business enrolled in the program must only report at the end of the day, the amount of unsold bread, while charities and voluntaries ensure the collection and distribution on the tables of the poor. The first feasibility tests were conducted in the cities of Milan and Bergamo, having positive feedback with many organizations involved in the project, and now it has landed in Rome receiving the approval of the Ministry of Agriculture. The Breading app is an excellent example of brain and sustainability related to the reduction of food waste, which in view of Expo 2015 can achieve a really great success. Other Italian cases against waste are represented by the sharing platform Next Door Help and the Last Minute Market project, both presented at the Salone del Gusto in Torino, which took place this year from 23rd to 27th October. Next Door Help is provides private resources that remain unused, it may be food but also games for children, furniture, clothes, and anything able to help a family with less disposable income. Sharing is a social activity and it’s good to meet different realities, as well as to recover materials that may still be useful in different situations. 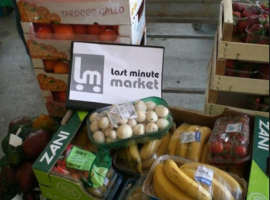 Last Minute Market is a project created in San Mauro Torinese, composed by activities that provide food and other resources for redistribute them among the poor and people in need. The project is already started and managed by a non-profit organization: it has already got good cooperation and is on track for improvements. 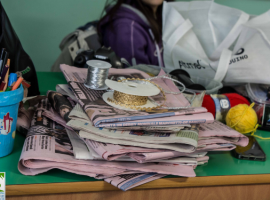 This year too there are countless campaigns and projects born for the European Week of Waste Reduction, which aim to create greater sensitivity and awareness. 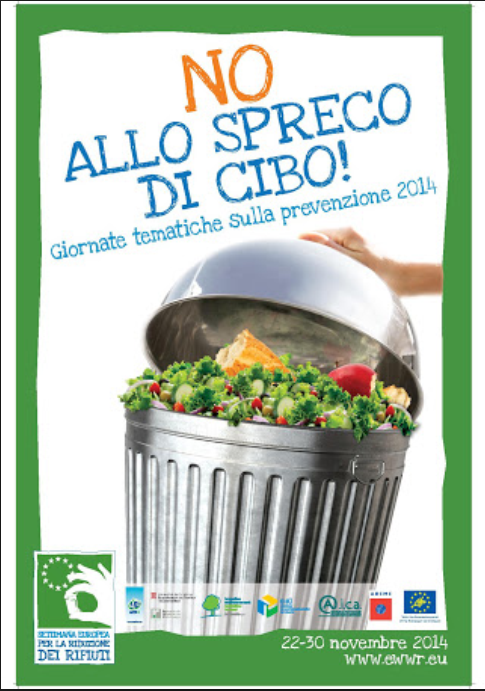 Such as the campaign for the collection of edible oils sponsored by the city of Modena, that warns about the dispersion of oil used in cooking. In fact if paid in plumbing, the oil could cause damage to them, then pollute groundwater and prevent oxygenation of the water, with terrible results for the ecosystem. At this purpose, six containers will be placed along the city streets to make a proper disposal easier for the citizens and teach respect for the environment, even in small actions like this. An important contribution is also given by campaigns such as “Io… Abbasso i rifiuti” of the city of Regalbuto in Sicily, which consists of several parts involving citizens in many ways. Here Associazione Rifiuti Zero will hold a conference, open to everybody, then there will be education activities in schools through documentaries and workshops about reuse and recycling, and finally entertainment in the historic center, with flash mob, flea markets and presentation of sustainable projects. It takes just a few simple steps to reduce the environmental impact, and if you’d like to know other anti-waste ideas in your area, please visit the European week of waste reduction website. Sono Rossana, una ragazza da sempre appassionata di natura, animali e ambiente, e con un grande interesse verso lettura, scrittura ed informazione. Unendo queste mie passioni cerco di trasmettere l’importanza ed i vantaggi di uno stile di vita eco-sostenibile nel pieno rispetto della natura, troppo spesso trascurata e rovinata. This entry was posted in curiosity, go green and tagged Bergamo, Berlin, better world, Breading app, European Week of Waste Reduction, EWWR, food waste, Last Minute Market, Milano, Modena, Next Door Help, oper refrigerators, reduction of food waste, Regalbuto, waste. Bookmark the permalink.